This may be a surprise to some of you since our website and social media focus mostly on our wedding photography, but we also have some wonderful family photography clients we photograph each year! When we set out to do a 2017 best of wrap up post for our wedding photography, we thought we'd do one for our family photography too! And let me tell you, what an amazing year 2017 was for our J&M Families arm of Jason & Melaina Photography! From baby dedications to bluebonnet portraits, to helping out some of our favorite people with the perfect Christmas card photo, we loved serving all these special people by providing them keepsake portraits to document this chapter in their family's story. Keep scrolling to see what a great year 2017 was for all our J&M Families! My dear friend from seminary had her first daughter in early 2016. And in January of 2017, the godmother put together a intimate celebration to dedicate this sweet little girl to God. My friend invited me to photograph the celebration, and I loved being able to document such an important moment in this little one's life. To see a touching lifestyle session I did with this adorable family, go here. This session in early spring was bittersweet for me, because it was my final session of the first year photography package I had been doing with her. I photographed her newborns, her 6 month, and 9 month portraits. 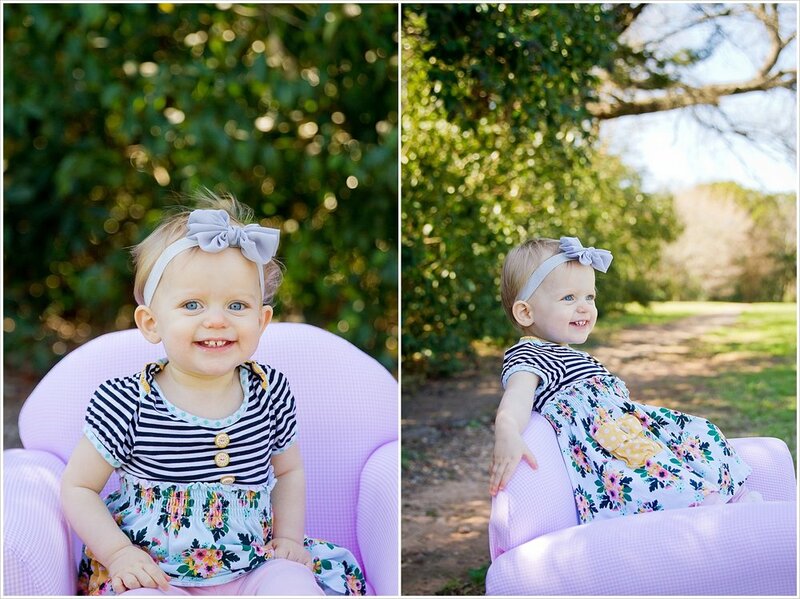 But in March she turned 1, so we met for a little session at Cameron Park to take some fun portraits in her favorite little chair. Luckily, I got one more chance to photograph her before the year was over! To see more of my year with Lucy, go here - newborn lifestyle, 6 month. When one door closes, another one opens. As I finished up my year of photographing Lucy, another sweet mama asked me to photograph the first year of her new little girl's life. So in March I began my next year-long project by doing an in-home lifestyle session with this beautiful new little girl and her family when she was only a week old. These quarterly photography sessions are so special, because every few months I see first-hand how much a baby can change in his or her first year. This is why I love offering this child photography option for a limited number of our J&M Families, because it records the major milestone moments of their little one's life! Twice a year we offer a limited number of mini sessions to our J&M Families. The first opportunity comes in springtime when the wildflowers in Texas remind me why this state is the best state. 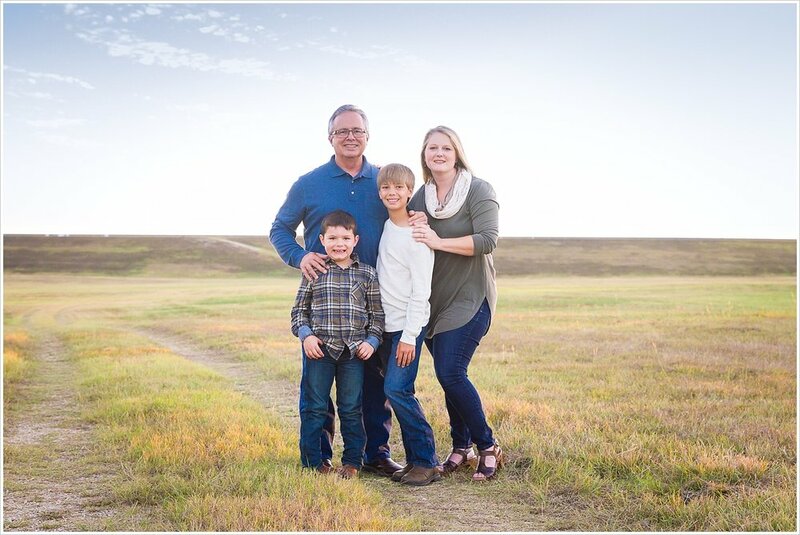 I had the amazing opportunity to photograph these 3 families in a field of bluebonnets and Indian paintbrushes, and they're some of my favorite sessions we do all year! Summer is usually focused on weddings, and also it's a million degrees outside and everyone's on vacation. So we don't end up doing a lot of family photography in the summer months. But this past summer I was able to photograph this sweet family of redheads and provide them with something they had not had in a long time, family portraits. These 3 sisters were adorable and SO BEAUTIFUL, and it was a joy to meet them! Also, 3 months had passed on the calendar and it was time for me to photograph this sweet little one again, this time for her 3 month session. Nap time had run long so we changed our location to her backyard, and we kept her and sister occupied as we waited for clouds to cover the bright sun...or asked Jason to hold a blanket up over her to shield her! And then we all blinked and ANOTHER 3 months had passed, so it was time for her 6 month portraits. (Seriously, that first year goes so fast, mamas!) She and her big sister wore the cutest matching denim outfits, and we all pretended it was fall-like outside when, in actuality, we were all sweating from the humid heat. But she was a little trooper and at 6 months was finally able to focus well on the camera and even give a hint of a smile! Fall finally did make its way to Waco, and with it brought our second round of mini sessions we offer for our family photography. We were able to photograph 8 of our J&M Families for our Fall Mini Sessions this year! And here's a fun behind-the-scenes fact: I had my heart set on photographing all our fall minis at the location our first family had. But only a few days after taking our first family's fall mini portraits, the Army Corp of Engineers shut down this location for maintenance for 4 months! Luckily, the fall foliage at different parks in the Waco area provided great backgrounds for the remaining fall minis we did. But hopefully 2018 will allow us to photograph more J&M Families in this new spot! Ps- see if you can spot the three families who I photographed earlier in the year. 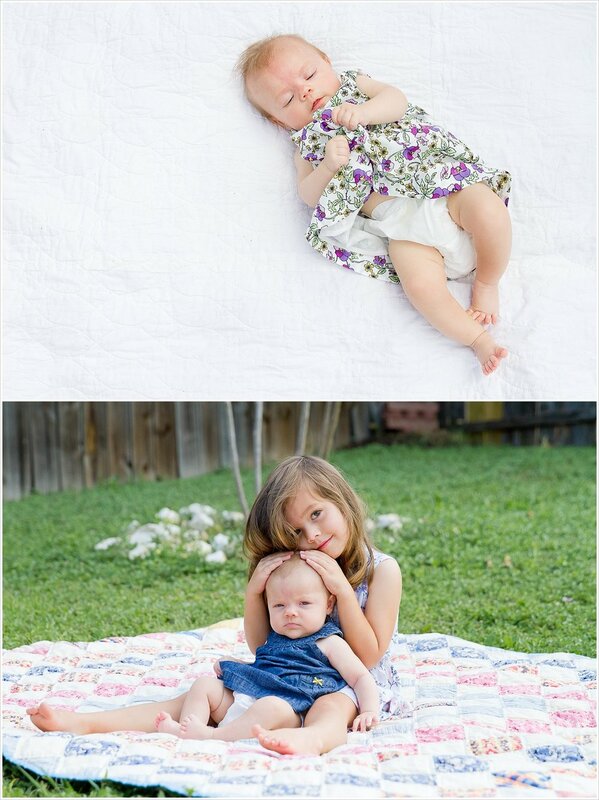 (2 from our Bluebonnet Minis in the spring, and one from a first year session). And look at how much their kiddos have grown in only 7 months! We finished up our fall season with this sweet family's session. This was our second year photographing them, and I realize I'm sounding like a broken record, but it's so neat to see how much all the kids had grown in a year. 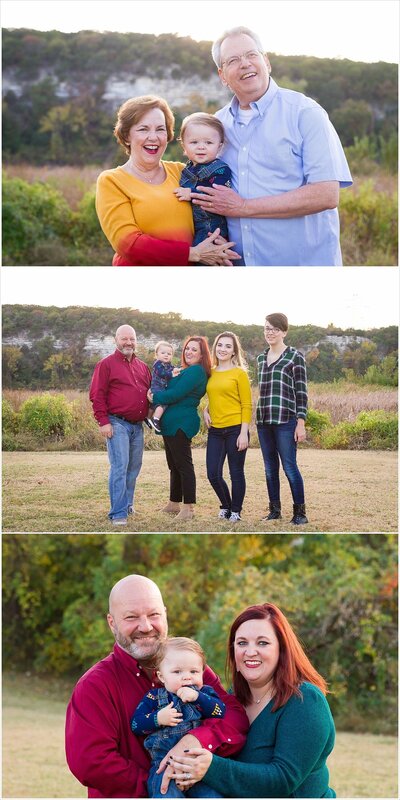 Our attempt at the grandkid picture last year was a little more interesting, since two of them were itty-bitty then. And while this year had its own set of challenges getting 4 small kids to look at the camera, I love the portraits we got showing how loving and fun this family is. And it's always helpful when you have numerous adults willing to stand behind you and yell silly things and jump around to get the shot! Stay tuned for next year's grandkid picture when these mamas add 3 more little boys to the mix! But before we closed out 2017 with our family photography, we had one little mini session to do. Two years ago these friends invited me into their home to photograph their firstborn son when he was only a few days old. So when little brother joined the family late this fall, we had to get some fun portraits with him too! And that's a wrap for 2017 with our J&M Families! It was so much fun to look back through our hard drives and pick out my favorites from this year...and to realize how many families we had photographed! So if you are a J&M Family reading this, thank you so much for trusting us to capture this moment in time in your family's life. We realize they won't always be this little forever, and we are honored you allowed us into your family's life and sometimes home to document all those sweet faces! And if you are not a J&M Family but would love to know more about our family photography, head over to our exclusive J&M Families group on Facebook to learn more about what we do! Whenever I'm having my initial discussion with a mom or bride about a photo shoot, I'll always ask her if she has a vision for what she'd like the shoot to be. Simply deciding to have portraits taken and choosing a photographer who matches with your style is already a lot of decisions made, so a majority of the time she'll respond with, "I"m not really sure." So we'll start providing options. Do you like portraits taken in an open field with a breath-taking sunset in the clear expanse of sky above? Or do you find yourself drawn more toward portraits with architecture and urban life providing the backdrop? In our experience, everyone divides into one of two camps - rural or urban portrait sessions. Once we know which camp a family or couple feels most at home in, then we can start tossing around some possible locations to see which ones resonate best with them. So when I initially talked to Dawn about her family shoot, I asked her if she would prefer a natural landscape or urban cityscape as the setting for her family's portrait session. She said she liked both, but then shared a story with me that made the decision easy. She shared how she and her husband had raised their kids in Waco, but were now planning on moving away soon. I asked if they had any special places in Waco they wanted to remember. And then Dawn shared how when her kids were little and the evening fussiness set in (as it often does for little ones), she and her husband would load the kids up in their car and go for a drive. They would roll windows down and play their music loud, and drive their babies through the streets of downtown Waco until they fell asleep in their car seats. It became a routine for their family, a fun way to entertain and calm the babies, as well as a cheap date night for Dawn and her sweet husband. So much of a routine, in fact, that Dawn shared they still drive through downtown with their windows down and music blaring, even though the kids are no longer babies. It was a family tradition now. After sharing her story, I told her, "Well, we have to take your portraits downtown then." And so we did. They weren't in a car with music blaring, but they were walking and running hand-in-hand down the very streets they've driven all these years together as a family. They were walking together, hand-in-hand down the same Suspension Bridge they had driven past countless evenings. And for just a moment, we were able to stop time and immortalize their family's bond with this special place, providing a physical reminder of the fond memories they have of their life here in #Wacotown. I can think of no better shoot location for this sweet family. Thank you so much, Salazars, for trusting us with your memories. We hope they hold a special place in your memory as you move on to the next adventure in your story.